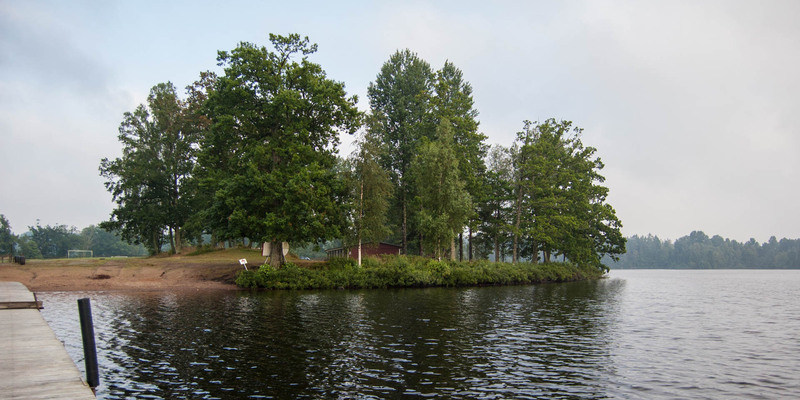 Näsets Badplats is located at the tip of a spit of land in the lake Sandsjön at the edge of the small village Dångebo, about 12 kilometers east of Tingsryd. 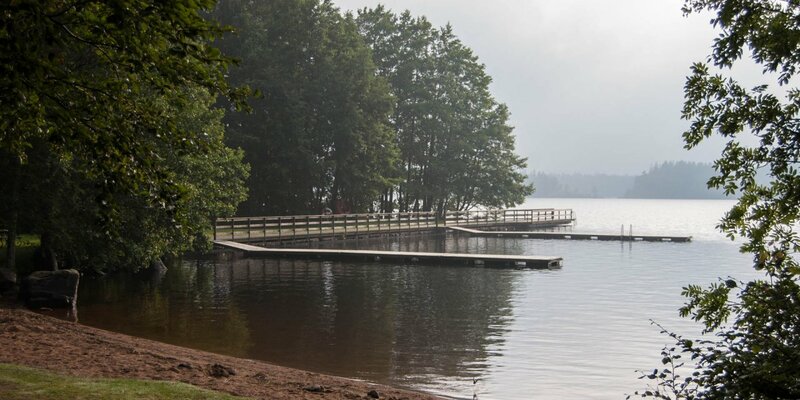 The bathing place consists of a small, 20-meter long beach with a long jetty and a lawn. 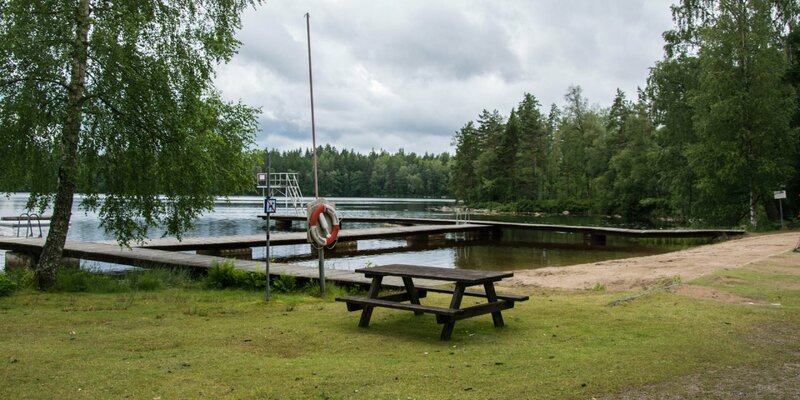 There is also a children's playground and a barbecue area at Näsets Badplats. 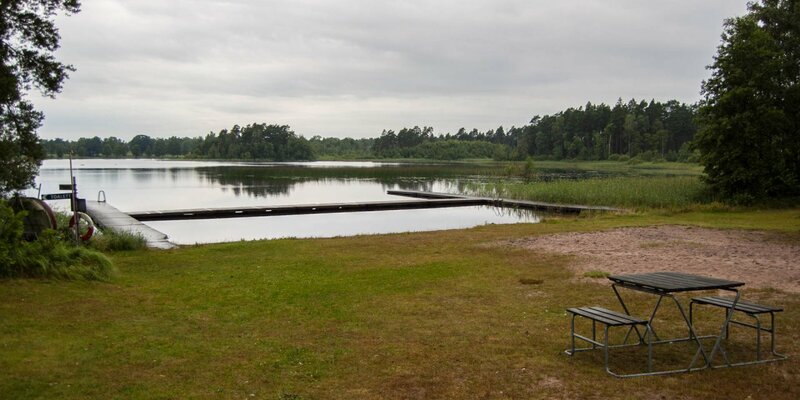 Toilets, showers and changing facilities can be found in the service building of the adjacent nature-camping site.